Could This Be a Solution for Davis’ Student Housing Crisis? While I am supposed to be resting and vacationing in San Luis Obispo with my kids and parents, I decided to take a break from my break to look at how Cal Poly and San Luis Obispo are dealing with some of the very same challenges that face UC Davis and Davis. San Luis Obispo is a community of about 46,000 people and Cal Poly, where I graduated in 1996, has grown to about 20,049 as of the fall 2015. 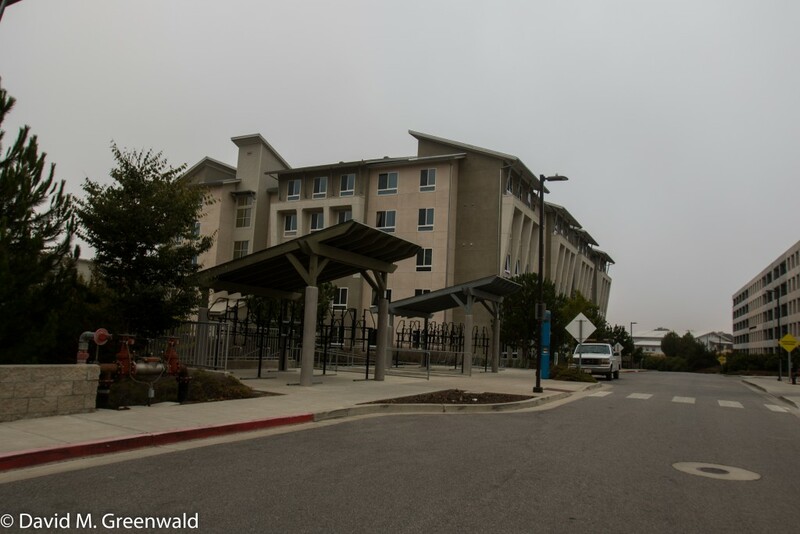 An article in the local paper from January 2016 shows that a group of residents, neighbors of the university, signed a petition asking the CSU Board of Trustees “to cap the number of students at Cal Poly and build dorms for at least two-thirds of them. 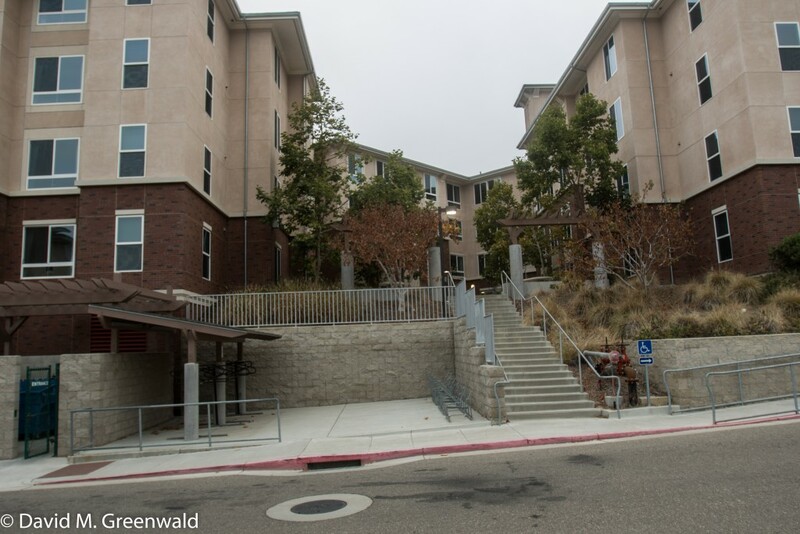 For 33 years, the residents pushed, but Cal Poly increased enrollment without building more on-campus housing. 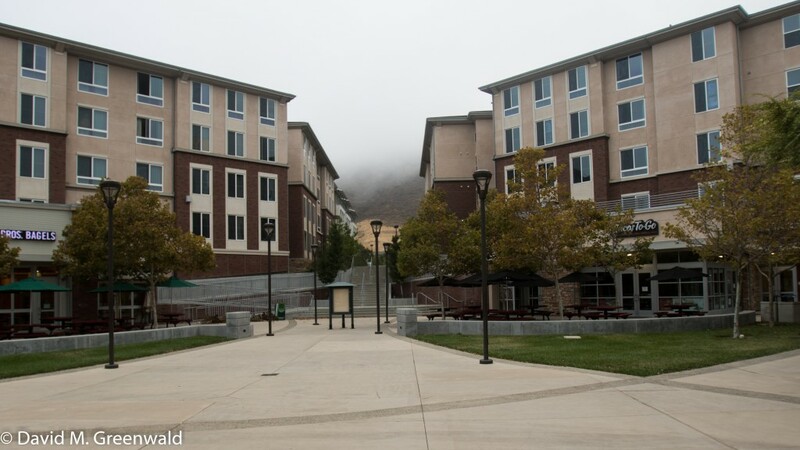 Cal Poly, in fact, grew over a 31-year period from 15,158 to 19,303 in 2003-04 without adding housing. According to the article, in 2015, there were 7377 students living on campus, which is just over one-third the total student population. 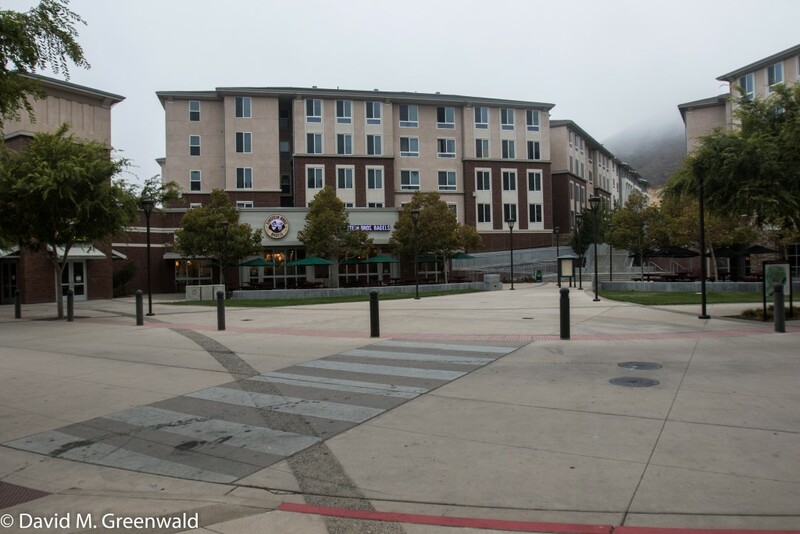 While residents in San Luis Obispo may be complaining, Cal Poly actually houses a much greater percentage of students on campus than UC Davis (which is about one-fourth). 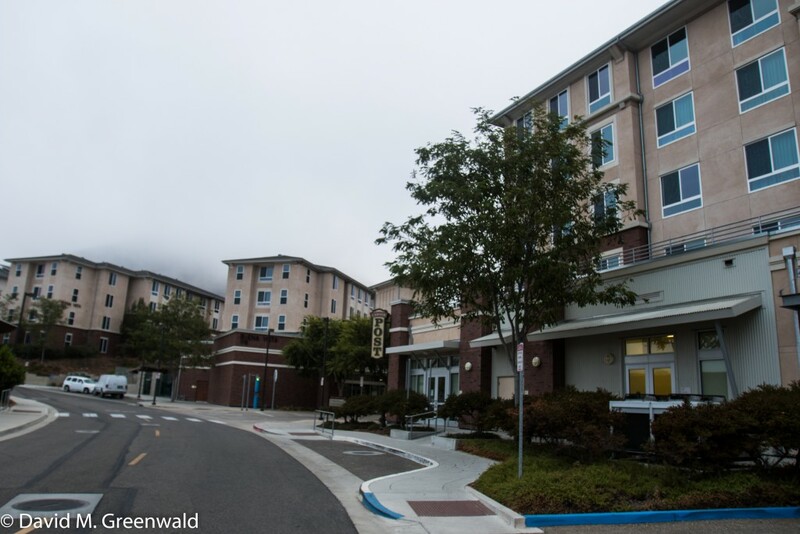 And while UC Davis has committed to housing 90 percent of new students, Cal Poly has agreed to house pretty much all new students and increase on-campus housing to 65 percent. One way they started doing this was building Poly Canyon Village in 2007. 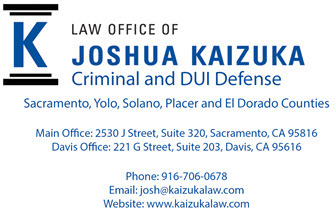 As I have noted before, this model might work in Davis. It houses 2700 students on 30 acres, two-thirds of the size of Nishi, by way of comparison. But Nishi would only have housed perhaps 1500 students. They key is that the project is comprised of nine 4- and 5-story buildings, but it has a central square with retail, food, banking and restaurants. It also has a community center, swimming pool, and two large parking garages (I’m told they built far more capacity than they need). Someone asked me while I was down here to get some shots of Poly Canyon Village. So these are from the other morning. 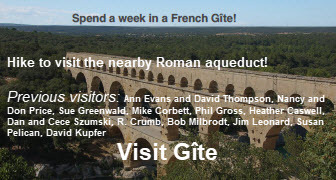 In addition, I’m going to try to get an official tour later this week so I can see the inside of the buildings. I came away very impressed with the project. 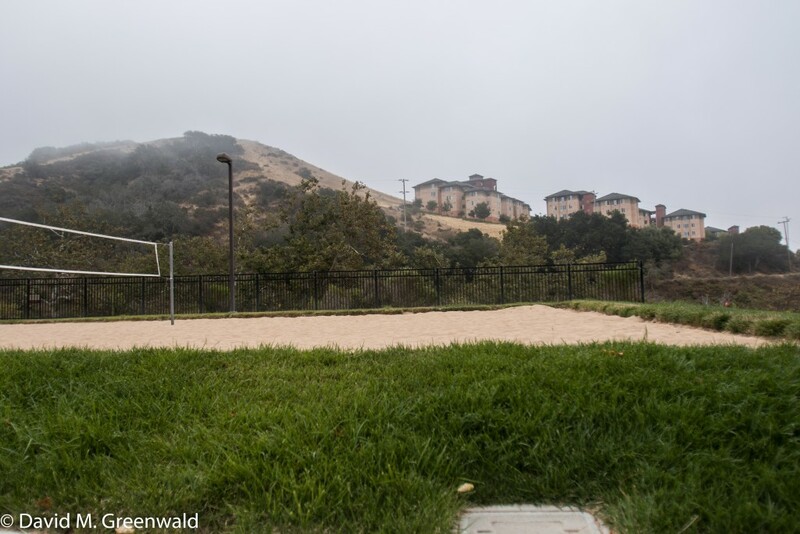 The project itself was controversial, as they built near the majestic Poly Canyon, which is a sensitive wildlife and ecological area. How about covered bike parking with a photo voltaic? Previous : Where is the Vanguard Getting Its Revenue? Thanks David; Brings back memories as our youngest graduated SLO and we walked around Poly Canyon Village complex as it was just opened when she graduated. The one difference is that it is placed up against hills, the canyon and open space so the appearance is not as dense as Nishi would be. Not to detract from the idea of a solution for Davis. PS: Have you ever hiked in the ‘real canyon’ behind the complex and ‘discovered’ the old architectural projects from years past? there are books written on the topic.. and if I can easily find the link, I will share the talk the original campus architect had given us on the design and the buildout and how the views were protected for all. UCD doesn’t have any hills – but with proper placement and landscaping, it will still be beautiful..
in fact, so many of my manager colleagues from the other UCs told me that the UCD “visit” was the very best…that the campus was so beautiful and so unique…and so on..
the almost alma mater of my brilliant younger only sibling, George N. Kalugin, a brilliant engineer who didn’t quite graduate…George, RIP, died of an accidental oxycontin overdose at the age of 49…14 years ago. the only place my brilliant older son applied to, got into (of course) and lasted one quarter….you know, the one who scored in second place on the OLSAT so many decades ago and who, if not for GATE, would likely also have been a HS drop out like my only brilliant sibling…. who was in the uppermost % on the SAT even though he didn’t even bother to even go to sleep early the night before… though he was courted with scholarships from all the Ivies, and tech universities around the nation…you know, I had mentioned that to you also, David, but I didn’t know at the time that that was your Alma Mater..
where my brilliant older niece, oldest daughter of my only brother, had scholarships and graduated in 4 years…of course, she is a girl and they tend to do better in handling change…and as her cohorts from Pleasanton on the basketball volleyball teams also were there… she had friends…. of course all of this is so off topic…and yet, it is all on topic…. if anyone here thinks UCD has not accommodated a single freshman into the campus dorm in this over 14 years, they are sadly out of touch..
and, I have already posted on those topics on other threads…. I think West Village, especially when built out, will look something like this. Even the buildings look similar. yes, ryankelly, West Village already houses way more students than Nishi could/would accommodate. see my other posts on other threads, such as the No on Nishi…. UCD knowingly took on our own 2020 project for growth…because UCD has by far the largest land mass of any other UC and likely most other universities in the US and elsewhere…. This is a lot bigger than they planned West Village to be. My thought is either build out West Village more or use Nishi to provide about twice what they had originally planned the housing to be. I know Tim was always concerned with the cost of building higher, but PCV is only four to five stories, and it has retail, and it has big open space. You could then put your 300K of R&D on the remaining 15 acres. My other preferred option would be UCD to build the 2700 to 4000 housing development expanding WV and use Nishi as something like the USC Village – a dense housing and retail/ R&D project, also on less land. It is possible that Woodland might be interested in building a student focused village like this on the South end or East end of town. 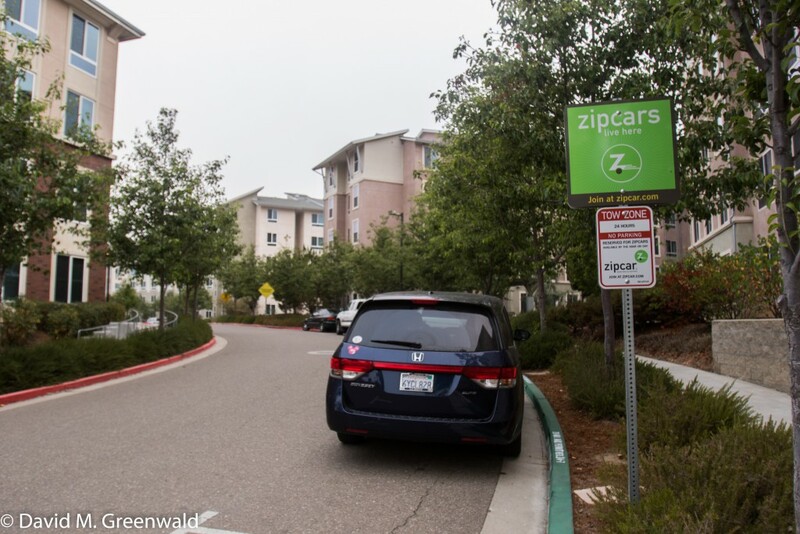 With the density, it would make sense for Unitrans to service it and reduce car traffic to campus. It also might spur the building of a real, protected bike path between the cities. That would save agricultural land on campus for research, but also provide an environment that may be attractive to students. It is so silly that anyone would propose this. Should UCD change its name to UCW? Why is this idea so silly? 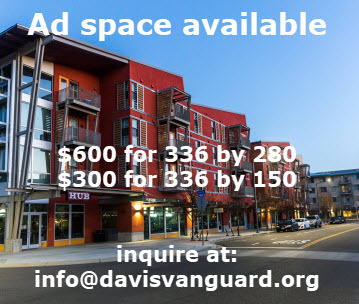 It would avoid the aggressive local opposition to building much of anything in Davis, avoid the higher cost of construction, and build in a community that wouldn’t force isolation through lack of connection to the rest of the community for the housing development. Already we have residents moving to Woodland but still sending their children to school here, continuing to shop here, attend civic groups and attend church here. Other UC’s house their students in neighboring communities. Maybe we should think regionally, rather than just the City of Davis. It is silly that Davisites believe they can occupy any level of respect supporting a position that they will not allow housing development in their city for what are their residential growth needs, but think Woodland should cover them. Well, yes, that is silly. But that’s were we are. Staff, faculty and students are already being forced to live outside of Davis and commute daily. 10% of students live outside Davis is the number given on an earlier post. That people oppose all development in Davis, but seem to be perfectly fine with huge development on campus is also a point of confusion. No development is allowed in Davis, but development is OK a mile away, outside or away from city limits. I don’t think that proposing a large housing block in Woodland or Dixon with frequent bus or train service to Davis is Silly. I hope there are other options than this, but in the scheme of things I would not call it silly. I also do not see incorporating Woodland in regional support of the university as silly any more than I though it was “silly” to move the medical school to Sacramento. Just because UCD originated in Davis does not mean that other communities could not or should not provide support and receive benefits from the presence of the university. Why do we arbitrarily want to limit the challenges and benefits of the university to our own community ? > I’m going to try to get an official tour later this week so I can see the inside of the buildings. Thanks for all the photos, I think the place looks great. I found this link with interesting information on the project. It looks like the place cost almost a half million per unit to build (not including the cost of the land). I would be interested to find out if Cal Poly used all union/prevailing wage labor to build it and if the property has any affordable/low income units. Does anyone have an estimate of what the Nishi site would sell for if it the owners gave up and sold it to UCD to build something like this? A key component to Selling Nishi to the University is the University would have to want to buy it. Based on Bob Segar’s comments last week that building infrastructure to access the site would be far to expensive to make building there worthwhile, I don’t think the University would be a very motivated buyer. 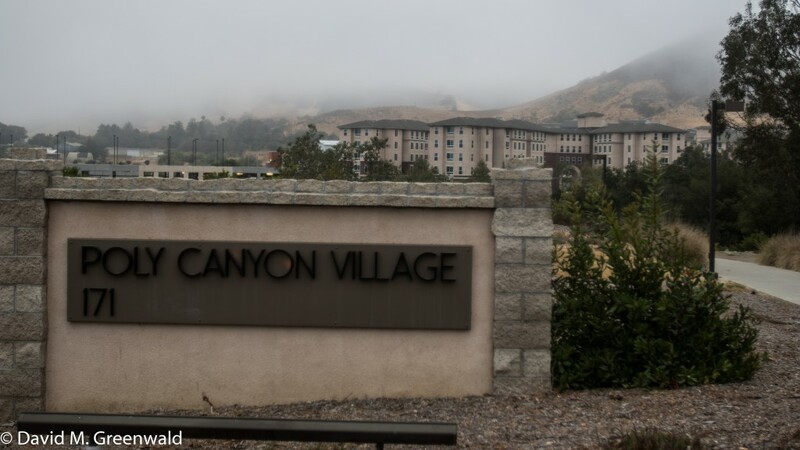 The Vanguard editor has performed an important and valuable service by providing data and photos of Poly Canyon Village. This is indeed a model that UCD can, should and must emulate. 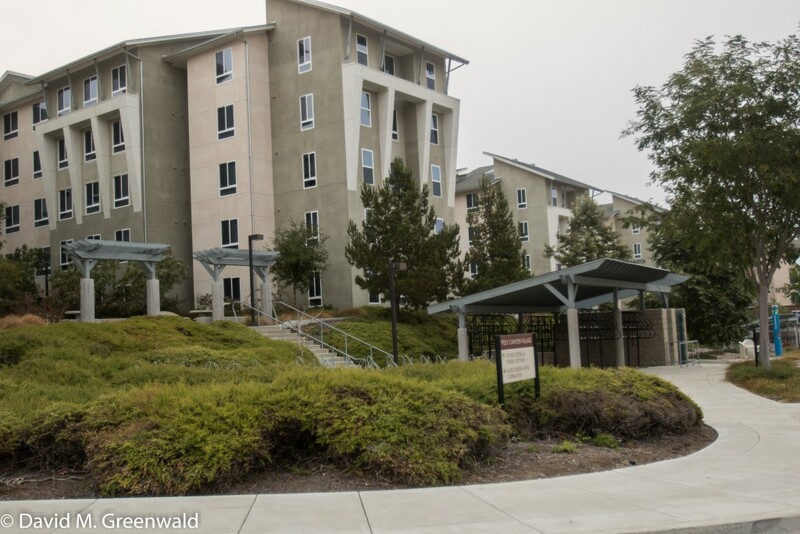 It is interesting to note, however, that UCD planners and housing administrators continue emphasizing that they are inclined to only construct new on-campus apartment buildings with a maximum of four floors, stating this is the most that can be erected with wood frame construction. (This inclination toward low-rise construction was reiterated by UCD Assistant Vice Chancellor Bob Segar during a presentation to College Park residents on the evening of August 3.) In contrast, five story structures are very evident at Poly Canyon Village. Such higher facilities may indeed require more expensive steel frame construction, but would be much more efficient and cost-effective over the long-term because less land would be consumed. More dense high rise buildings would also facilitate concentration of supporting infrastructure (water, sewer, etc.). Coupled with parking garages rather than land-consuming parking lots, UCD could accommodate a much higher on-campus population. As it is, the draft UCD Long Range Development Plan assumes that only 40 percent of the students studying at UCD would be housed on campus during the 2027-28 academic year, while other campuses such as UC Irvine are planning to house up to 50% on campus. It is interesting that UCD’s “Campus Tomorrow” articles and quotes of UCD administrators continually emphasize that UCD wants to maintain a compact campus that maximizes “connectivity” among students. If that is indeed the goal, then I suggest UCD should not only take a lesson from Cal Poly, but would benefit from going beyond that and plan even higher student apartment buildings. There is no reason why attractive and efficient apartment buildings of six to ten stories could not be constructed on campus. Such densification is not possible in Davis neighborhoods, but is certainly feasible on campus. 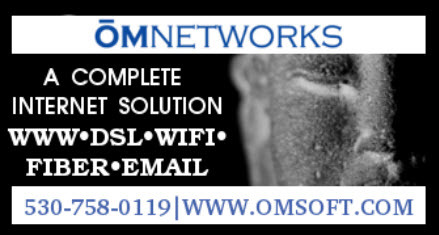 Not only would connectivity be enhanced, but the overall quality of life for students would be improved by not having to devote a significant part of their time to commuting from off-campus apartments throughout Davis and other communities such as Dixon, Sacramento, West Sacramento, Winters and Woodland. (Segar also said last week that about 10% of UCD students live outside Davis.) Building high-rise on-campus apartments would go a long way toward UCD “walking the walk” in terms of sustainability and reducing GHG emissions. It’s also interesting that Segar was asked during the College Park meeting whether UCD would consider developing the Nishi site for student housing. His response was decidedly negative, citing the large infrastructure investment necessary “…before a stick could be put in the ground,” including the road culvert that would be needed beneath the Union Pacific railroad tracks. He also mentioned air pollution as a concern. The implication is that no one should realistically count on UCD supporting a “Son of Nishi” proposal. Edison makes excellent points here. those steel buildings can handle the elevators needed to comply with ADA for campus built buildings…. and, listen to Bob, there is no campus need for a Sons of Nishi…and he brings up real concrete reasons why UCD wouldn’t support it..
most of the students I have met in my decades at UCD who live “out of town” are still living with, and often working and supporting their parents and families… some are reentry with families of their own.. I am interested in the rents at Poly Canyon Village. A Google search took me to Poly Canyon Village FAQs, which in turn took me to Continuing Students Fees. The contract is for a 10 month academic year. The monthly rents, which include all utilities, are approximately $935/mo (single) or $720/mo (shared bedroom) or $535 month (double suite shared bedroom) — less if you divide by 12 months. The double suite shared room option seems affordable, particularly in light of it being a “double” and not a “triple” or more (thinking about freshman dorms at UC Santa Cruz, which are triples). Now these units were built in 2007, so they’re a bit older. Could new construction at UC Davis yield rents in this ball park? also, triples is the way to go and that is how UCD has done it many a time over the recent decade when the acceptances exceeded the bed space… a win-win..for many …. South of Davis, why would UCD want that toxic dump site (Nishi) when it has over 5000 acres that could house many more students, faculty and staff? I’m not convinced of that. The university can subsidize rent after all in the worst case scenario. Economies of scale mean that a larger complex can have lower student rents. 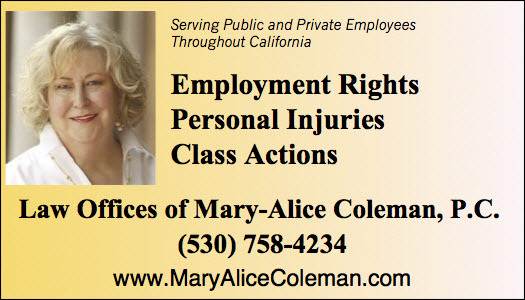 I am happy that food service is now going to be all handled “in house” and that some years ago the food service workers were “included” into the payroll/personnel and benefit plans of the UC…..the costs are truly much higher as a result, but I fully supported that action also, as it was only fair. I was critical of housing articles run on the Vanguard recently for lacking new information. This article however is a good example of adding information to the dialog. More can and should certainly be written about Cal Poly and other campuses and how they have chosen to house much larger percentages of their students. The more research I do, the more I find that UCD lags far behind in providing student housing. UCD has always been able to depend on the surrounding community to house the students, but I would argue that given UCD’s enrollment growth ambitions and the current saturation of the Davis housing market it is time for UCD to catch up to its peers. UCD has become one of the 30 largest universities in the country by enrollment, and is projected to continue expansion at a pace that will have it moving up the list. It is already second only to UCLA among the UCs. 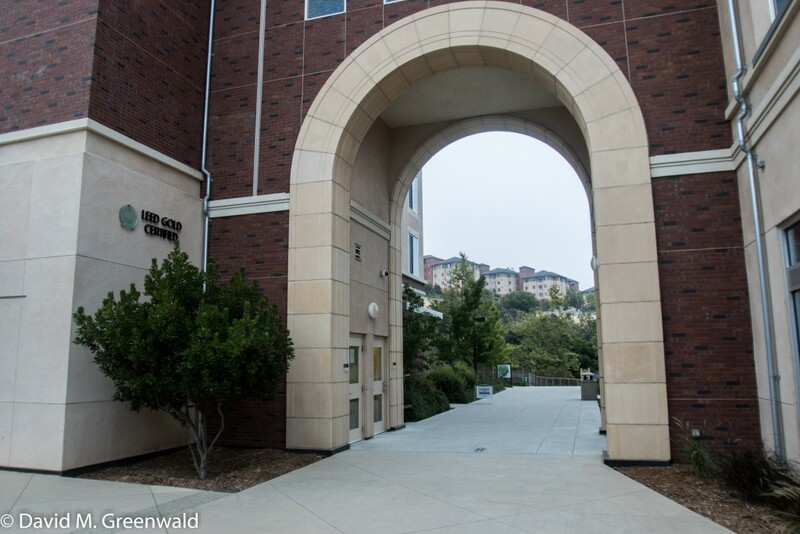 With this new much larger student population comes new larger housing responsibilities and UCD can certainly at least do as well as the other UCs. This is a great article and thanks for sharing this great new info and photo’s with us David. 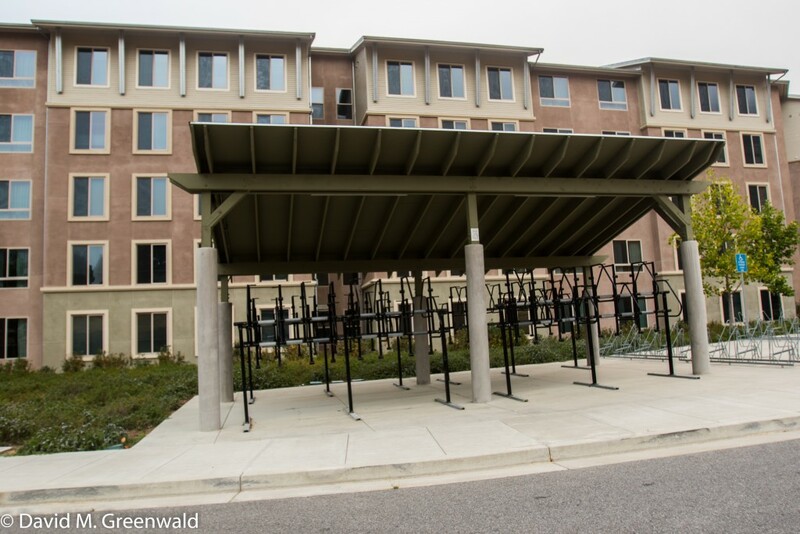 And in response to your article’s catchy title, yes this IS the answer to UCD’s need for on-campus housing. This is exactly what other campuses with insight and good planning have already accomplished like UC Irvine where at least 50% of all of the student housing is being provided on campus. All of this on-campus student housing has been built and continue to be built on other campuses so UCD has no excuse for why it has not kept up with providing the promised student housing on campus when it has over 5,300 acres, unlike any of these other much smaller campuses. 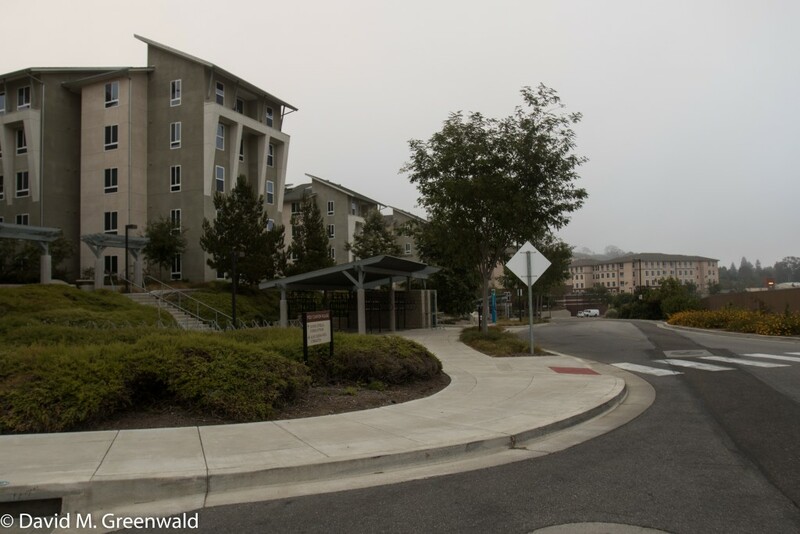 Also note the higher densities on this SLO campus as I has also seen in photos from other campuses as compared to the low densities of apartments at UCD. Also, I completely agree with Edison’s and Grok’s excellent comments as well. I am looking forward to more information like this from eh Vanguard on how on-campus housing can and has happened on other campuses and how it needs to happen now at UCD. Agreed, I am definitely looking forward to more informative articles like this. I finally had time to locate this amazing slideshow ,which I had mentioned, from UCSC Campus Architect Emeritus.. Some of what I shared earlier on this thread is from this presentation. It may help answer some of the questions others raised, better than I could, on why things were done a certain way at first UCSC, and later the UCD campus… and related to aesthetics and so on. I would venture, this is an earlier model that Cal Poly Canyon also emulates.